The legendary Montecristi Panama: the best straw hat made. This article will give you a glimpse into how these hats are made, why they are so special, and what to consider when choosing yours. 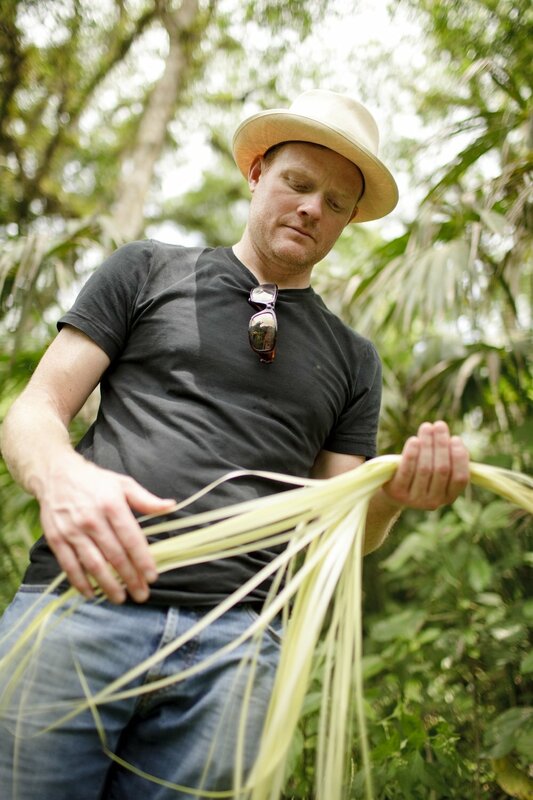 "You can tell just by looking at a good Montecristi that it's a special hat. When you understand what is involved in making one, you can truly appreciate it as a work of art." The Montecristi Panama is woven from the toquilla palm, which grows wild in the humid, fertile coastal lowlands of Ecuador. Select leaves of these palms are gathered while young, and split into "ribbons". 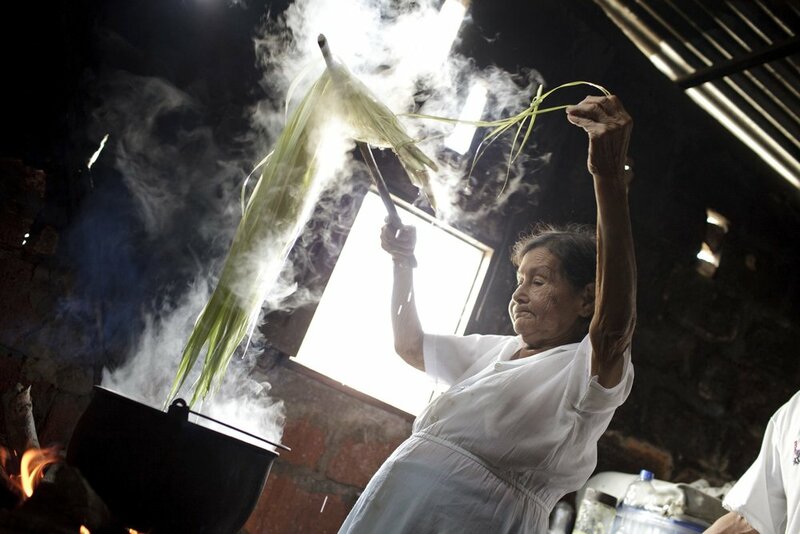 The ribbons are repeatedly dipped in boiling water, shaken well and air dried in the shade. Once dry, the fiber is worked on individually, divided many times with a sharpened fingernail, or small tool. From those threads, the weaver will select straw based on its color, suppleness and fineness of fibre. For only a few hours in the cool of the early morning and evening, when the straw is at its most soft and pliable, the Montecristi Panama is woven over a wooden block, supported by a wooden tripod which acts as a support for the weaver. It's important that we respect the artisans who weave a great Montecristi, by properly crafting them into beautifully finished, wearable hats. Producing a strong demand for well-made Montecristis will help keep this art alive. Our hat bodies are collected from the weavers all through the year, and it's then that the next ones are commissioned. Keeping Optimo well stocked with a variety of grades, sizes, brim widths and crown heights is important. The material should never be shrunk or over-stretched in order to fit a certain size/style. At no time should the integrity of the straw be compromised. 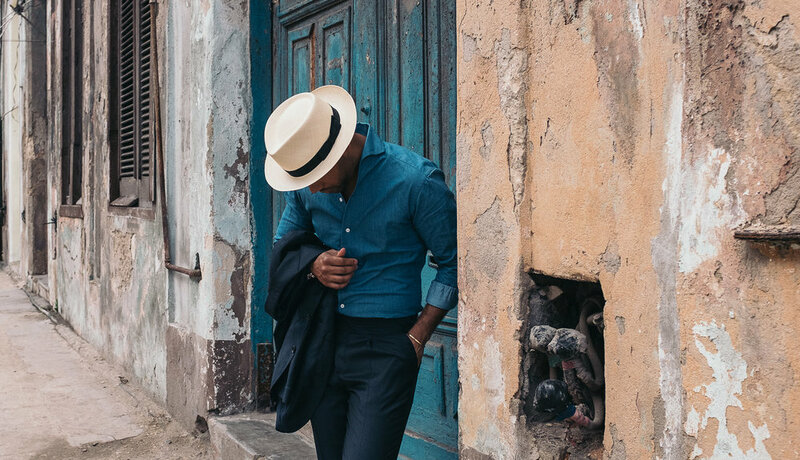 We recognized many years ago that vintage Panama hats were much better than Panama hats today. Optimo has since been dedicated to resurrecting a quality of material, weave and finish that the best in the industry were committed to several decades ago. Greatly respecting the master weavers work, our staff have spent countless hours learning and refining their skills. 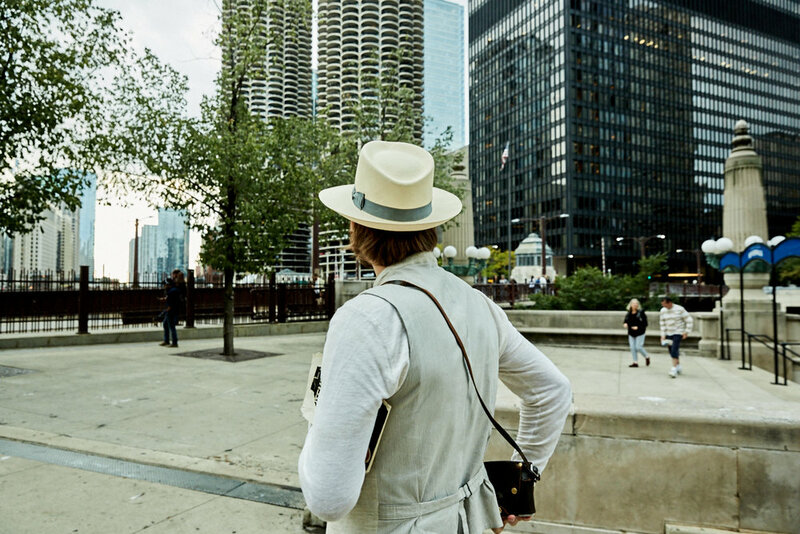 Sadly, most buyers don’t know what to look for in a great Panama. All too often, poorly woven and/or poorly finished hats are purchased by tourists and customers looking for a “deal.” Unfortunately, this simply encourages poor weaving and poor finishing. At Optimo we use time-honored traditions, machinery and skills to give our customers Montecristi Panamas of the finest quality. Over the years, we have added many steps to our finishing processes as we continue to understand more and more about this incredible material. 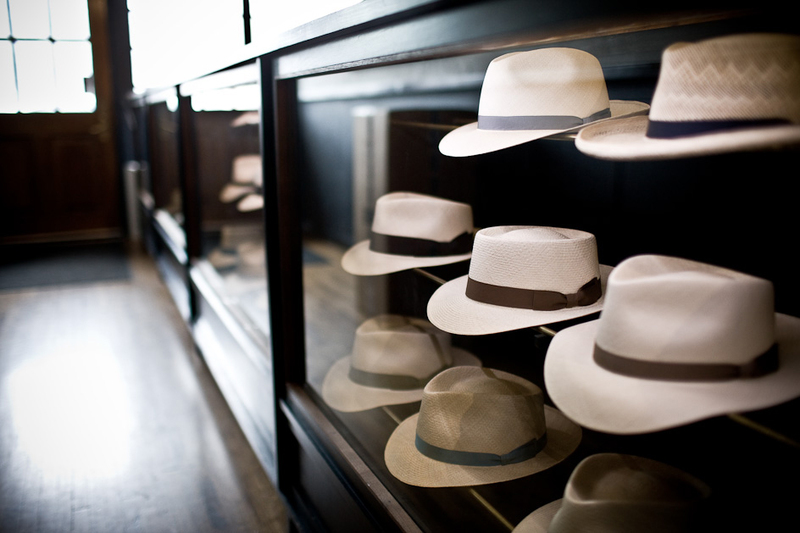 Montecristi Panama hats are an investment, that when cared for properly, age gracefully. Attributes of a well-made Montecristi. Made from premium straw. Fibers are rated according to the length, thickness and color. Only very select fibers, those of the best tensile strength in proportion to their diameter are used for high quality hats. Shows a regular weave pattern throughout: the better the quality the finer and more perfect the weave. Is uniform in texture and has a natural, beautiful color. Is free from small holes and gaps in the weaving. Is free from the use of harsh sulfur powder employed to bleach the hats. This damages the straw. Is neither shapeless and floppy, nor synthetic and rigid. Look for hats that are strong yet pliable and that hold a nice shape. Taking care of your Montecristi. You will want to have your hat cleaned from time to time. It is important to have these fine hats serviced by an expert. Improper cleaning and blocking / renovation can ruin your hat. We are one of the last remaining hat manufacturers to offer this service to our customers. Optimo's professional renovation involves completely stripping the hat down, cleaning it, reconditioning it, reshaping it on the original molds it was formed on and finally replacing the sweatband and ribbon. Learn more about Optimo’s cleaning and blocking services. 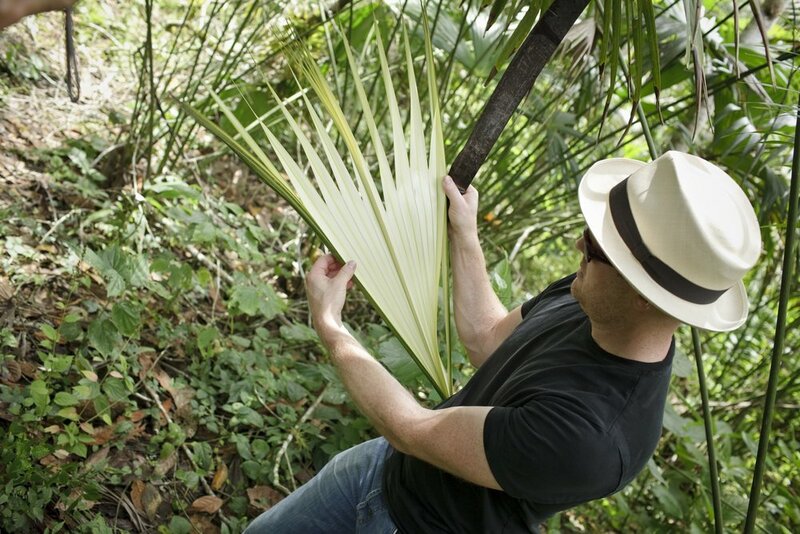 When properly-woven Montecristi Panamas are properly finished, the hats age gracefully. After years of wear, the color will take on a beautiful patina. The Montecristi Panama has such a classic, timeless appeal. You can wear your hat just as easily with a pair of shorts and a t-shirt as you can with more formal attire. We offer countless style options. Please visit our website or call the store for a phone fitting.